Trotman Automotive Group’s Tire Protection Plan covers the original owner of new passenger or light truck tires purchased, installed and balanced at Langley Chrysler as long as the tires have been used only on the vehicle on which they were originally installed. This Protection Plan is not valid with OEM factory installed tires. The original work order must be presented in order for this Protection Plan to be honoured. Repair the tire at no charge if it falls within our repair policy guidelines. 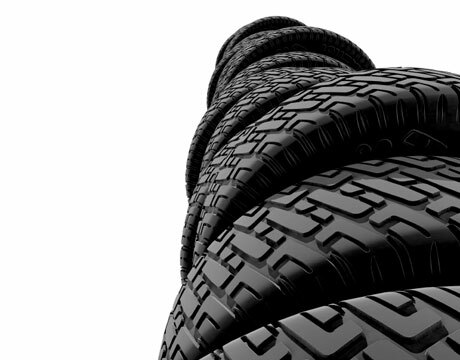 Installation and balancing costs are additional and are the responsibility of the tire owner. Replace the tire if it is not repairable at a pro rata** replacement price based on usage. Manufacturing Defects include workmanship or material defects that originate during the tire manufacturing process. Replace, reinstall and balance tires at no charge if the tire is rendered unserviceable due to a Manufacturing Defect with tread wear of 2/32″ or less. Replace a tire rendered unserviceable by a Manufacturing Defect that does not qualify for a no charge replacement, with a comparable tire on a pro rata** price basis. Replacement cost is based on the current regular everyday price of the tire. **A pro-rated price simply means that you only pay for the amount of the tread used above the 2/32″ tread wear indicators. For example: If a new tire has a tread depth of 11/32″, the usable tread is 9/32″ (11/32″ less 2/32″). If the tread depth at the time the tire is presented for adjustment under this warranty is 8/32″ the usable tread remaining is 6/32″ (8/32″ less 2/32″). One third of the tread depth has been used and the replacement cost will be based on 33% of the current regular everyday price. Service Abuse such as obstruction damage or wheel spinning. Tires that become unserviceable due to any type of service abuse are not covered by this Protection Plan. Tires used on non-passenger vehicles including campers, trailers, etc. or commercial vehicles, including taxis, limousines, police or courier service, etc. Tires returned more than five years after the purchase date on the original work order. Tires entitled to replacement under this Protection Plan will be replaced with the same size and line of tire. In the event that the tire to be replaced is no longer produced, a tire of the same basic construction and quality will be substituted by the dealership in its reasonable discretion (sidewall and/or tread design may vary). Please note: the customer is responsible for any difference in cost resulting from this substitution. Repair or replacement of the tires is the sole and exclusive remedy to which the dealership is obligated and to which the original retail customer is entitled. The dealership shall not be liable for reimbursement for the original purchase price, loss of the use of the vehicle, loss of time or inconvenience, towing charges, rental or replacement vehicle or any other special incidental, consequential or punitive damages. Unless otherwise noted, additional charges for installation, balancing, valves, etc. are outside this Protection Plan and are extra. Tires replaced under this warranty become the property of the dealership. The customer must present the damaged tire as well as the original work order to the dealership. The customer must pay the replacement cost of the new tire, pro rata** if applicable, which is specific to this warranty. Mileage Ratings (i.e.100, 000 km, 120, 000 km) are a helpful guide when making a tire choice but are not related to this Protection Plan.